Mac Miller’s mother remembers her son with a smiley photo. 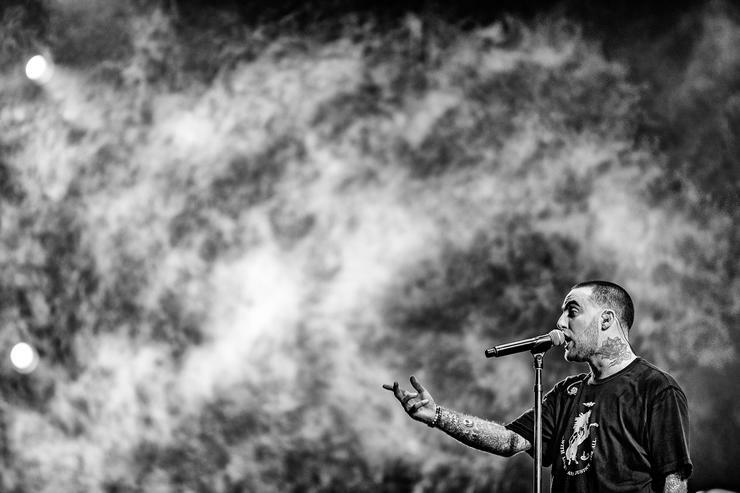 When the news of Mac Miller’s passing was reported last week, the entire hip-hop community had difficulty reacting. Obviously, his death is one of the saddest events of the entire year and with so many of our idols leaving the planet this year, it’s becoming harder and harder to cope. Some, like J. Cole, are preaching that if you are emotionally distraught over it then you should express your thoughts with a friend or family. Others are finding alternate ways to deal with his passing. Many of us are thinking about his family and all that they must be going through right now. His mother, Karen Meyers, shared one of her memories with Mac at a Pittsburgh Pirates game on her Instagram.As many continue to send their thoughts and prayers to Mac’s family and friends, his mother has spoken out prior to the vigil, which will be held tomorrow at Blue Slide Park. The two were clearly close as Miller smiles big and leans into the photo at the game. Meyers added a simple heartbroken emoji as her caption. At times like these, it can be extremely difficult to process your emotions. Many are dealing with his loss by streaming his most recent album, Swimming, which has hit No. 1 on the Apple Music charts. RIP Mac.